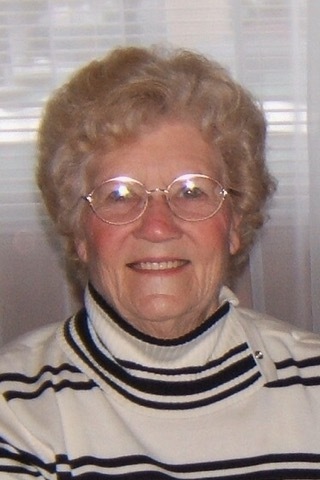 Dora Smith, age 85 of Troy, passed away Wednesday, January 30, 2019 in the Hospice Unit of Upper Valley Medical Center, Troy. She was born April 17, 1933 in Eccles, England to the late Fred and Annie (Dootson) Knowles. Dora is survived by her loving husband of 62 years Ronney Smith, who she married July 21, 1956; two sons, Wes Smith (Cindy) of Troy and Ronney Smith, II (Kirk) of Casstown; two daughters, Rhonda Wertz (Paul) of Troy and Stephanie Siney (Mike) of Miamisburg; brother Fred Knowles of Northumberland, England; eight grandchildren, Devon Sniegowski (Matt), Danielle Null (Aaron), Cody Wertz (Courtney), Ashley Schuler (Rich), Amber Smith, Tessa Clark, Liam Clark, and Sophie Clark; seven great-grandchildren, Alyssa, Madison, Joel, and Olivia Sniegowski, Gabriella and Harper Null, Savannah Wertz, and another great-granddaughter coming in April. She was preceded in death by sister Jessie Beeley and brother John Knowles. Dora loved her family and her greatest pleasure was spending time with them. She loved taking cruises with her husband and family, from Alaska to the Caribbean. She enjoyed watching sunsets on Sanibel Island and made many trips back to England to visit her siblings. She loved making Bucilla felt Christmas stockings for her family and enjoyed working in the garden. She will be deeply missed by her family. A funeral service will be held 12:00PM Monday, February 4, 2019 at Fisher-Cheney Funeral Home, Troy with Pastor Tim Cox officiating. Visitation will be from 10:00AM-12:00PM at the funeral home prior to the service. Interment to follow in Casstown Cemetery. Arrangements entrusted to Fisher-Cheney Funeral Home, Troy, OH.